The American Legion was chartered and incorporated by Congress in 1919 as a patriotic veterans’ organization devoted to mutual helpfulness. It is the nation’s largest wartime veterans’ service organization, committed to mentoring youth and sponsorship of wholesome programs in our communities, advocating patriotism and honor, promoting strong national security, and continued devotion to our fellow service members and veterans. Focusing on service to veterans, service members and communities, the Legion evolved from a group of war-weary veterans of World War I into one of the most influential nonprofit groups in the United States. Membership swiftly grew to over 1 million, and local posts sprang up across the country. Today membership stands at over 2.4 million in 14,000 posts worldwide. The posts are organized into 55 departments: one each for the 50 states, along with the District of Columbia, Puerto Rico, France, Mexico, and the Philippines. The American Legion is a nonpartisan, not-for-profit organization with great political influence perpetuated by its grass-roots involvement in the legislation process from local districts to Capital Hill. Legionnaires’ sense of obligation to community, state and nation drives an honest advocacy for veterans in Washington. The Legion stands behind the issues most important to the nation’s veterans community, backed by resolutions passed by leadership. Square. This program actually started the previous June at the Hartman Post 84 regular monthly meeting. Mike Landkamer showed a super 8 movie of Memorial Day in Hebron, Nebraska, where his grandfather’s flag flies on Memorial Day. Mike was also elected Post Commander at that meeting and made the Memorial Day Flag Program his project. 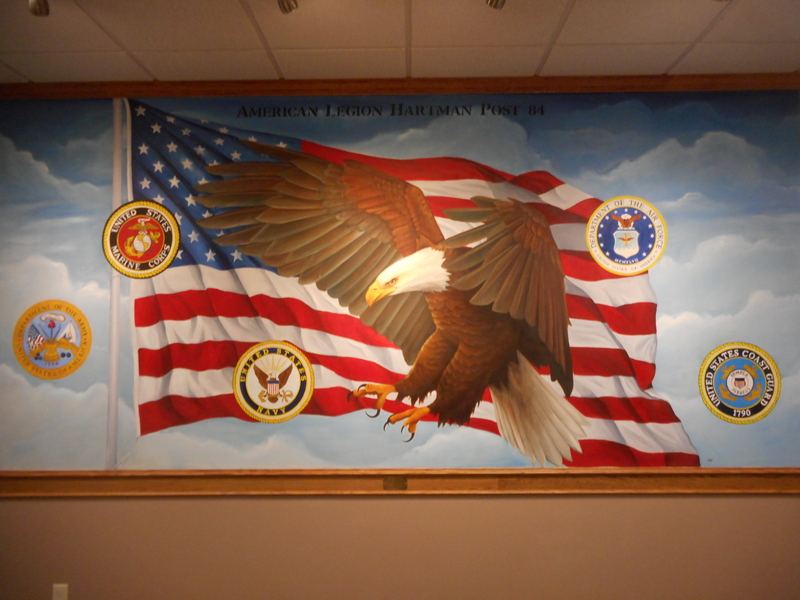 Mike also worked with Joe Penscik who was the Commander of the VFW, to make this a joint project. program in Frankfort Square. 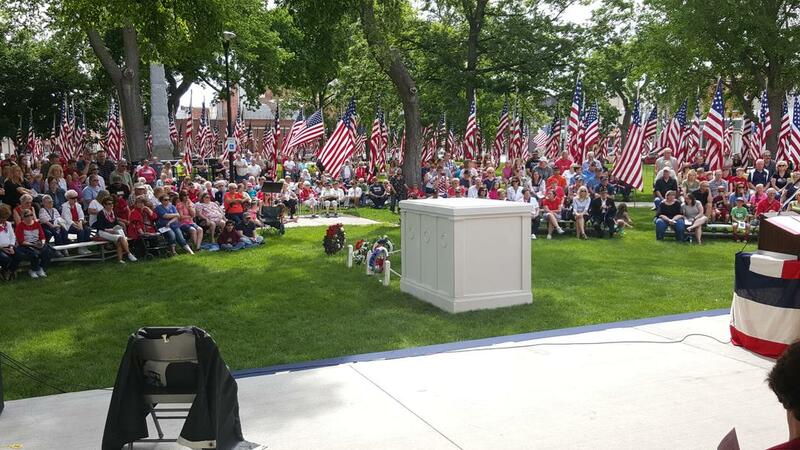 Previously the Memorial Day program was held in Columbus cemetery with a turnout of 200 or less. the flags of the one’s who were Killed in Action would fly. donated for the Memorial Day Program. touching one of the flags, Mark would trim it. the program flying four RF4’s and did the missing man formation as they flew over the square. 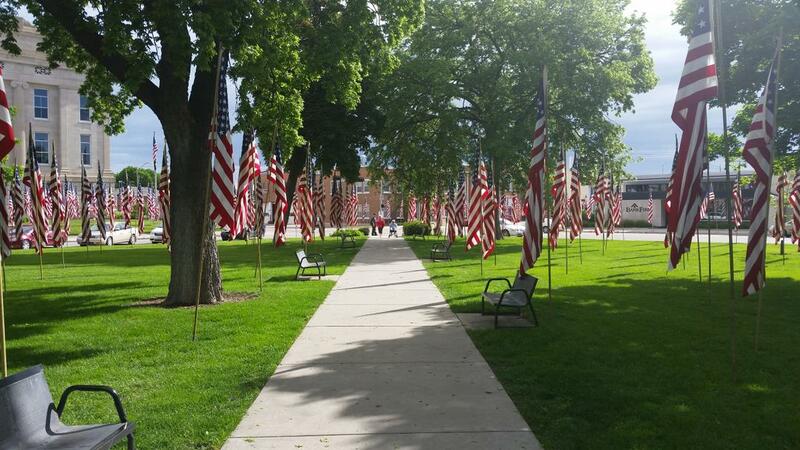 This program has continued to grow through the years as there are over 1400 flags flying on Memorial Day. of Columbus help raise the flags at 6:00 am on Memorial Day and lower them at 6:00pm that evening.